What happens to assets after a death? The answer to this question varies depending upon whether the assets transfer through probate or through the trust administration process. Both probate and trust administration facilitate the winding up of the affairs of a person who has passed away, but the processes are very different. Both processes, however, can be complex and those involved can benefit from appropriate legal guidance. DeBruyckere Law Offices is there to help with probate and with trust administration. When a death has necessitated the management of and/or transfer of assets, our Beverly MA probate and trust administration lawyers are here to help executors, trustees, beneficiaries, heirs, and other interested parties. How can a probate or trust administration lawyer in the Greater Merrimack Valley area help? When the deceased has a will, the will should name an executor. The executor must take a lead role in the probate process. Appropriate paperwork must be filed with the probate court and creditors have to be notified by the executor regarding the death that has occurred. It may be necessary to contract with appraisers to value assets and to determine how much the estate is worth. The validity of the deceased’s will is going to be determined during probate, with an opportunity for interested parties to object and to raise arguments about problems with the will. The executor will be responsible for the management of assets during the probate process and the executor has a fiduciary duty to ensure that property values are maintained and assets preserved for those who stand to inherit. The executor has the most difficult job during the probate process, and can benefit from getting the legal assistance that an experienced probate lawyer can provide. Other parties, too, may benefit from being represented by a lawyer who can offer guidance and advice. Beneficiaries who are concerned an executor is breaching his duty should strongly consider consulting with a lawyer, as should anyone who believes that a will should not be considered valid and enforceable. 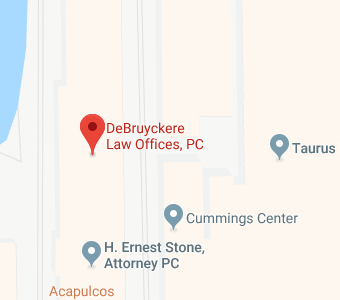 DeBruyckere Law Offices provides representation throughout probate, and we work hard to ensure that our clients have a detailed understanding of their rights and are able to make the strongest possible legal arguments to protect their interests. When trusts are created, the assets within the trust generally transfer outside of the probate process. As a result, a death will trigger trust administration instead of triggering probate. The trustee will be the person with the responsibility under these circumstances and the trustee can benefit from legal representation provided by informed attorneys who know the local laws. The trust administration process is also going to involve management of trust assets until beneficiaries inherit the money or property kept in the trust. There are a variety of steps that a trustee must take when a death occurs, including transferring title and facilitating the transition of property to its new owners. An attorney can assist with all of the essential steps of trust administration. An attorney can also provide legal representation to trust beneficiaries who are concerned about whether the trustee is fulfilling his fiduciary obligations. If you are the named beneficiary of a trust and you want someone looking out for your rights, having a legal professional in your corner can be very important. DeBruyckere Law Offices understands probate and trust administration laws in both Massachusetts and New Hampshire. Our firm is focused on making sure that the process of transferring assets and winding up the affairs of the deceased goes as smoothly as possible after someone has passed away. We believe strongly in protecting the rights and interests of the deceased, as well as protecting beneficiaries and heirs who deserve to benefit from the hard work of their loved one who has left them a legacy. To learn more about how we can assist with probate or trust administration, give us a call today at our New Hampshire number, (603) 894-4141 or at our Massachusetts number, (978) 969-0331.